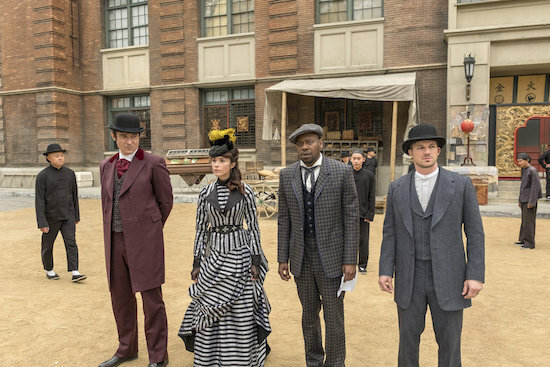 Good news for TIMELESS fans—NBC has officially closed a deal for a wrap-up movie. The two-hour film is set to air during the holidays. TIMELESS stars Abigail Spencer, Matt Lanter, Malcolm Barrett, Goran Višnjić, Paterson Joseph, Sakina Jaffrey, and Claudia Doumit. Are you excited for a TIMELESS movie? I have to say, wifey and I are both thrilled that the show is going to get a nice wrap-up! So many shows that we have loved over the years, would just end, and that after a season or two when boom(! ), cancellation. So, we are glad for the final journey of the lifeboat!